The information presented on this page was originally released on February 11, 2005. It may not be outdated, but please search our site for more current information. If you plan to quote or reference this information in a publication, please check with the Extension specialist or author before proceeding. MISSISSIPPI STATE -- Lambs and goats sold for more in the state than ever before Thursday at the Dixie National Sale of Junior Champions, where an overall sales record also was set. Thirty-six champion steers, hogs, lambs and goats sold at auction for $238,693, breaking the record set in 2004 by about $46,000. These much-higher-than market prices bring to just under $3 million the reward generous buyers have given youth for their efforts since 1970. Wilson Dodge/Kia/Hyundai bought the grand champion lamb for $52 a pound. The total price of $8,320 broke the previous high sale price of $50 a pound set in 1999 by Gray-Daniels, East and Watson Quality Ford. The grand champion goat sold for $52 a pound - a total of $4,992 - eclipsing the earlier record of $35 set in 2003 by the same Ford buyers. Ergon and the Ford group bought the top steer for $11.50 a pound, bringing its owner $14,950. Wilson Meat House and Wilson Farms purchased the top hog for $52 a pound, raising $14,092 for the youth exhibitor. The sale gives 4-H and FFA youth the opportunity to sell market animals they raised. Proceeds are used to purchase the next year's animals and to help pay for future college educations. Gov. Haley Barbour was on hand for the sale. "There's hardly anything in their lives they will learn more from than FFA and 4-H," Barbour said. Gale Chrestman, Mississippi State University Extension Service 4-H livestock specialist, said young people work hard for the chance to have an animal in the Sale of Junior Champions. "This is a great opportunity to learn about the livestock industry through the 4-H livestock projects," Chrestman said. "These animals are tools in developing life skills that will make better citizens." When Wilson Meat House and Wilson Farms in Crystal Springs bought the grand champion hog, they were keeping up the family-owned business' long tradition of supporting the sale. "Raising livestock teaches discipline. It teaches them that you have to work for a living, and that's why we support it," co-owner Jack Wilson Jr. said. 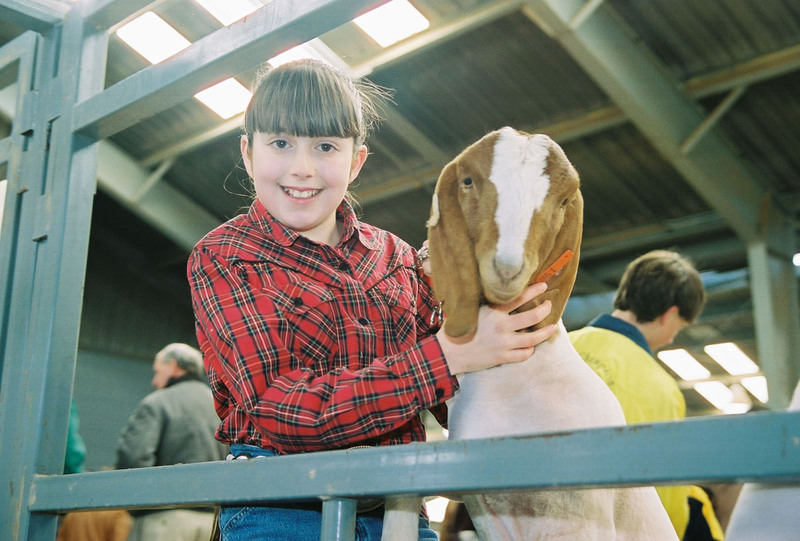 Eighteen-year-old Emily Irwin completed her ninth year showing animals. After this year's sale, she and her brother Brooks, himself a seven-year veteran of the show ring, have had 12 animals at the Sale of Junior Champions. "I think raising and showing animals teaches honesty and responsibility, and you get to meet a w hole lot of new people," Emily said. "Everyone we work with in Leflore County is like family." Exhibitors who did not qualify for this year's sale competed for 33 $1,000 or $1,500 college scholarships given to outstanding youth by generous supporters of the Dixie National Junior Livestock Show. Five premier exhibitors each received scholarships of $1,500, while the exhibitors of the supreme beef female and bull and supreme dairy female each received $1,000 scholarships.